Today was round five of the Diggle AC winter league at Old Hough and today it was to be contested on Lucky dip + Prospect which wasn’t the best of waters if the last match on it was anything to go by because unless you were able to go across for the carp you had to try to pick up the odd better stamp silver from the channel in between all the 2oz bits , the forecast was for strong winds yet again but it should stay dry and i just hoped that the direction of the breeze might be blocked by the trees giving the chance of at least a couple of pegs being able to fish towards the far-bank . The thirty mile drive to the venue went reasonably well and i met up with the rest of the lads near the lakes as i feared the wind was ripping through towards the bottom of them away from the car-park and probably only two pegs on each lake were capable of fishing towards the far-bank , it was soon time for the draw and after all the hustle+bustle it was time for my pick and out i pulled number twelve on prospect the same peg got second on my last visit here by catching carp across with corn but i didn’t think that would be possible in today’s conditions . Bottom of the far slope at 13m as this was the furthest i could manage to hold my pole i also used it on my near side slope towards my left which was down wind of my peg , i chose a 4×14 malman roob float as it was just over 4ft deep and the extra weight would be handy in the conditions my rig had a strung out bulk starting above the short four inch hook length i would use this for fishing either corn or pellet . 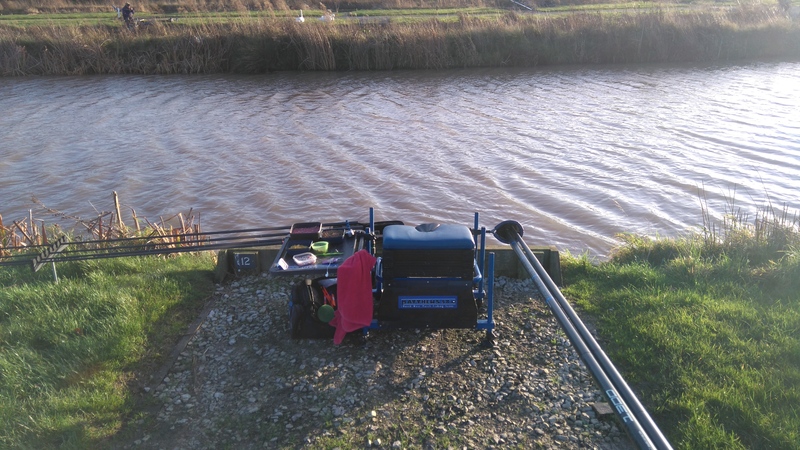 Channel at six meters i felt this would be my best chance of picking up the bonus fish required if i was to do any good today , i stepped up my float size again to a 4×16 RW maggie hook which had a bulk plus two droppers shotting pattern this had a six-inch hook length attached . 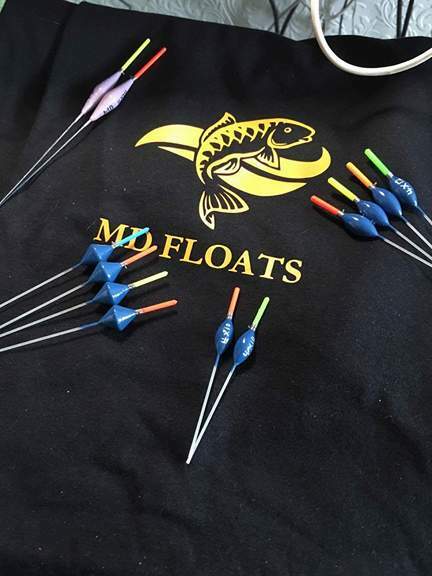 On the drop rig for fishing with the top kit along the near shelf as this was where i caught majority of my fish on my last match here although they were a very small stamp so with this in mind i decided to use a 4×10 tbf cult float with a strung out rig of size 11 stotz , i didn’t expect any bonus fish here so used 010 garbo main line with an 009 garbo hook length which had a size twenty matrix silver fish hook . 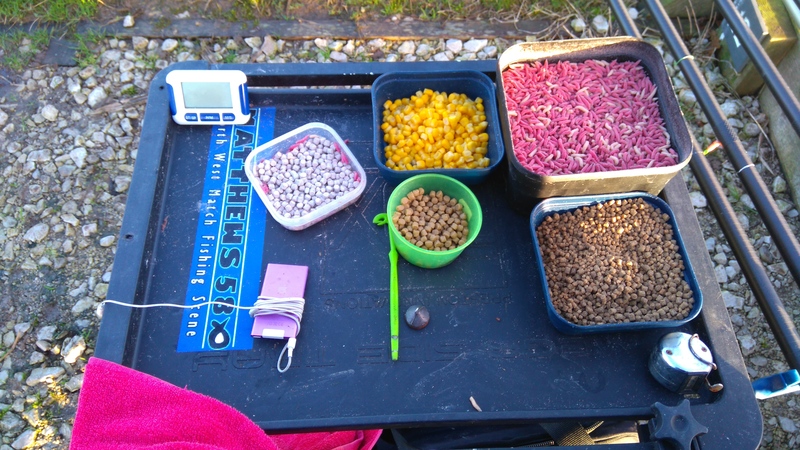 As the all in sounded i put in a small cupping kit full of maggots on to my channel swim before going out to my 13m line with a piece of corn on the hook i deposited a small kinder pot full of corn+pellets and then tried to hold my rig still over the top of it but it was very hard work as the wind was really battering my pole plus my rig was towing through quite badly so i had to lay more + more line on the deck to try to present a static bait , it wasn’t that surprising then that i was still bite less after thirty minutes so i decided to spent no more time struggling with the wind and went onto my channel swim where i hopped that a few fish had settled on my initial feed . After about ten minutes my float dipped under and i lifted into an ide of around 10oz which the hook pulled out of just as i was about to land it not the start i wanted , another ten minute wait before i had my next indication this resulted in a pound plus skimmer hitting the net and i was thinking that a little shoal of them might have settled as i managed a couple more hand sized samples but it was short-lived because the fish seemed to drift off . 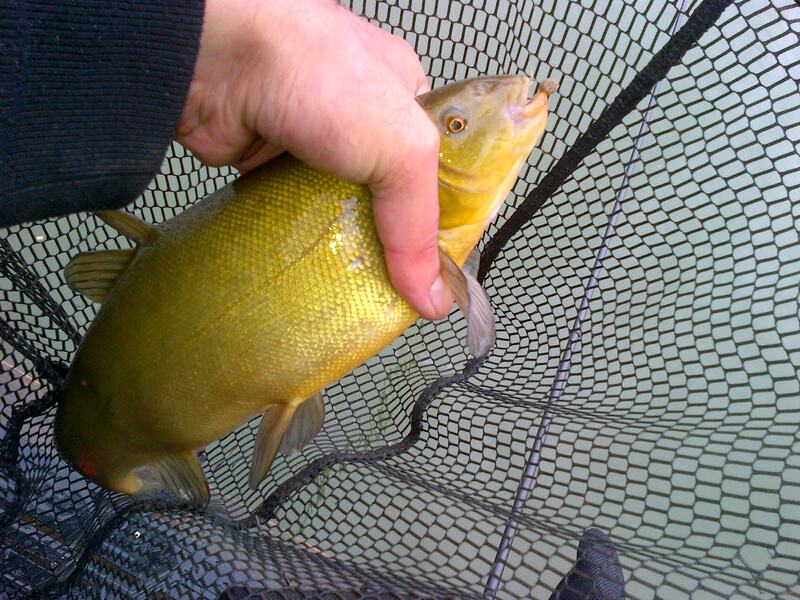 I put in another cup full of maggots before going onto my top kit line to see if i could put a couple of pounds of small roach in the net but unlike my last match here were this was my best line today i couldn’t attract a single bite even though i had been loose feeding a dozen maggots every few minutes since the all in , with things not going to well i decided to put some bait in at the bottom of the near slope six meters towards my left i felt that this could produce a bigger stamp of fish so i feed a cupping kit full of corn+pellets but this also failed to produce a bite . 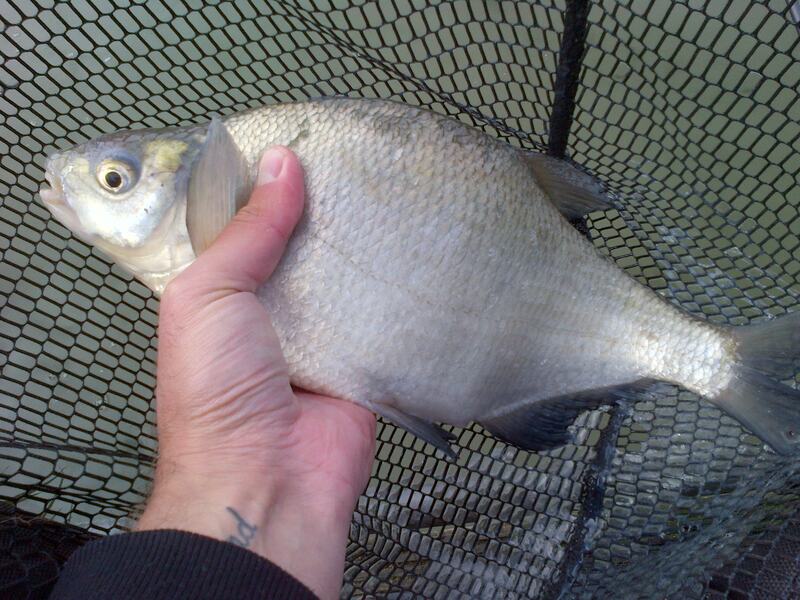 Back on my channel swim and i was picking up the odd silver averaging 4oz a piece on looking around everybody was struggling so i wasn’t that concerned just yet although it would only take some body to catch a carp and it could all change , with that in mind i felt that if i could get another swim to start producing fish then i could rotate them which should hopefully prolong my catch rate and as my channel line was the only one producing fish i set up another line to my right here i would kinder pot in some pellets plus two grains of corn , my first try on this new swim with pellet got me a couple of hand sized skimmers i gave a piece of corn a try to see if it could pick up a bigger stamp of fish and after a ten minute wait my float slid under which resulted in an unseasonal tench nearly a pound popping up in front of me . Back to my original swim for a few more stamp silvers before rotating lines to pick up a couple of small skimmers and that’s they way i spent my match up until the last hour when indications started to drop off it was also noticeable that i deep hooked a few silvers on my maggot swim so i was obviously not seeing all my bites for the next thirty minutes i couldn’t buy a bite but then the wind started to ease which meant i no longer had to lay as much line on the deck and i began seeing the tiny little dips on the float and i finished the match with a run of six f1s plus a small barbel on my pellet swim .I was unsure how i had got on but felt that i had kept in touch with all the anglers within eye shot and i didn’t have long to wait to find out my fate the lad to my right weighed in 13lb 40z , my net went 12lb 14oz and a lad opposite put nearly 16lb on the scales for the win so i ended up third just missing out by a few ounce on second and that seems to be the way my matches are going in the winter league at the moment as im struggling to find the bonus fish in these low weight matches although i am still in forth so lets hope i can keep up towards the top of the leader board . 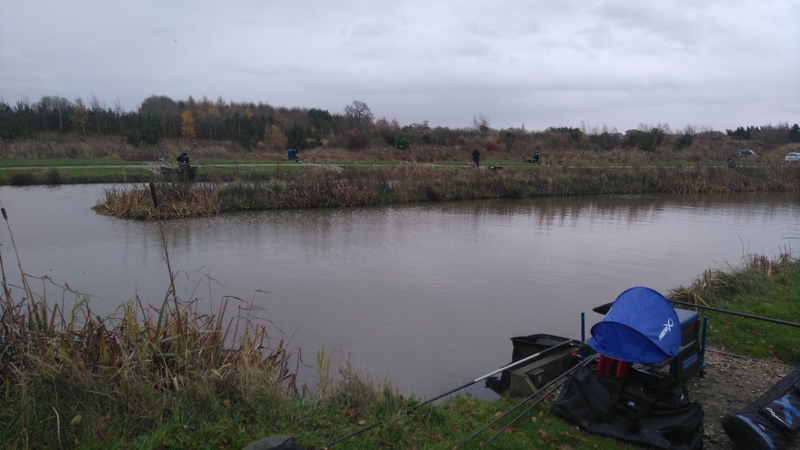 This entry was posted in old hough, Old hough fishery, old hough winter league, old hough winter league 2016 and tagged Coarse fishing, Common carp, Common roach, f1 fishing, Fishing bait, fishing shallow, garbo line, Lake, lucky dip lake, Maggot, malman roob, matthews580, Mirror carp, Old hough fishery, orange matrix elastic, Outdoors, prospect lake, Recreation, silver fish fishing, skimmer fishing, white expanders. Bookmark the permalink.